Major Mitchell passed nearby this place in the middle of September 1836, following his period of recuperation at nearby Lake Repose. He stated in his journal that it was "as favourable a place for refreshing the cattle as could be found". The bullocks were exhausted after pulling the wagons through very boggy ground for over 18kms and an axle had broken. The monument takes the form of a squat obelisk and is about 2.5m high and 2.0m square at the base. It is made of bluestone blocks laid in 12inch courses. There is a marble plaque which states "Major Thomas L. Mitchell Explorer camped here 18th Sept. 1836, whence, leaving a party in Mr. C. C. Stapylton's charge, he proceeded onwards to Sydney". The monument is located in a grove of Pinus radiata which extend down Bundoran Lane and Monument Lane. There is also a River Red Gum, planted some distance away in a paddock230m north of BundoranLane,east of Monument Lane. This tree was planted by the great grandson of Major Mitchell on the 150th anniversary of Major Mitchell's movement through the area. There is also a bottle buried nearby. 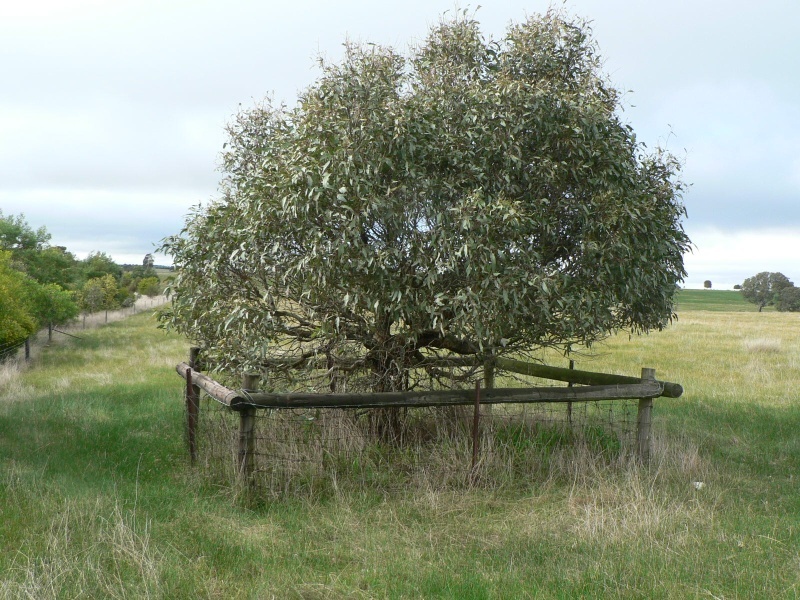 Monuments and memorials to commemorate Major Mitchell's epic 1836 journey can be found in many locations throughout south-western Victoria. The Major crossed Victoria's northern and western plains, found a European settlement already established at Portland, and returned to New South Wales to give a glowing account of the rich land of 'Australia Felix'. One hundred years later, local communities at points along his former route engaged enthusiastically in a bout of centennial monument building. After war memorials, the Mitchell monuments are the most common form of public commemoration in the region. 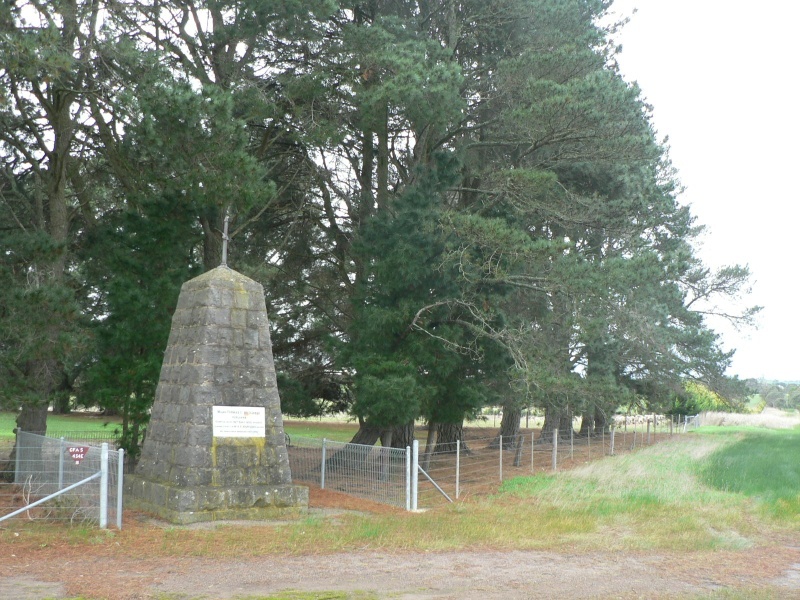 The Major Mitchell Monument, Bundoran Lane, Glenthompson (Strathmore) is of historical significance to the Southern Grampians Shire. The Major Mitchell Monument is of historical significance because it commemorates the very beginning of European interest in, occupation of and subsequent exploitation of the further Western District. It is example of the way in which Major Mitchell is revered as a person of extreme importance within the community. It is typical example of the stone obelisks which were erected throughout Victoria in the first half of the nineteenth century to commemorate Major Mitchell's exploration. The cairn is in excellent condition.